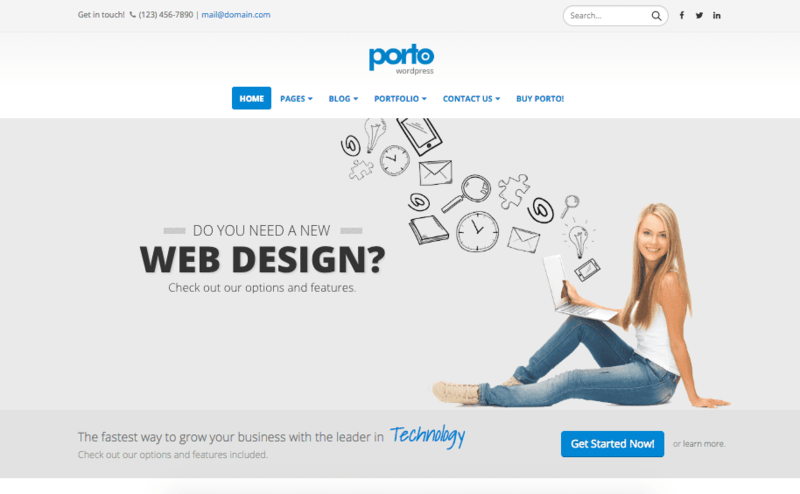 Are you searching for the best WordPress themes for portfolio websites? A portfolio website, unlike a standard blog template, will highlight your work through high def image galleries and creative features like circle icon boxes, testimonial sliders and timelines. In this post we present you with several free and premium portfolio theme choices we’ve enjoyed working with so you can pick the best WordPress theme for your new portfolio website. Tell us in the comments which portfolio WordPress theme works best for you! If you are still choosing a platform or software to make a website, you should know that WordPress is becoming the go-to platform for many top household names and website. In fact over 30% of the best websites use WordPress. People are used to seeing WordPress websites and there are tons of help communities (like this one!) making WordPress an ideal place to create a portfolio website. There are two versions of WordPress websites, WordPress .com and WordPress .org which is known as self hosted WordPress. 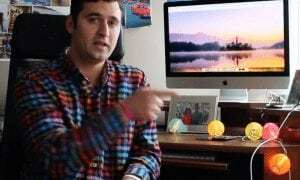 Check out quick video explaining the difference between WordPress.com and WordPress.org. 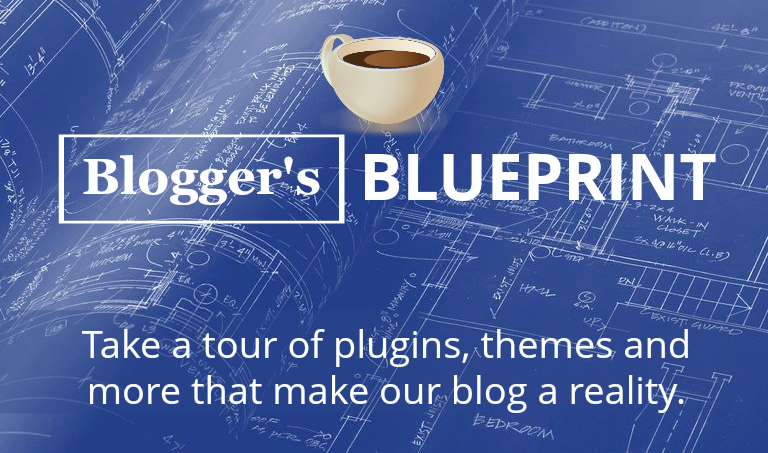 You will need WordPress.org to get access to all of the themes and plugins that make your website (and you) into a professional success story. 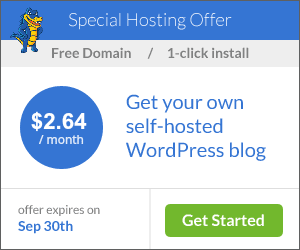 All you need to start your self hosted WordPress.org site is a domain name and a hosting account. Learn how to setup self hosted WordPress with a free domain name (also covers how to use existing domain name). Click Here to Grab this Deal at HostGator and Setup Your Website! 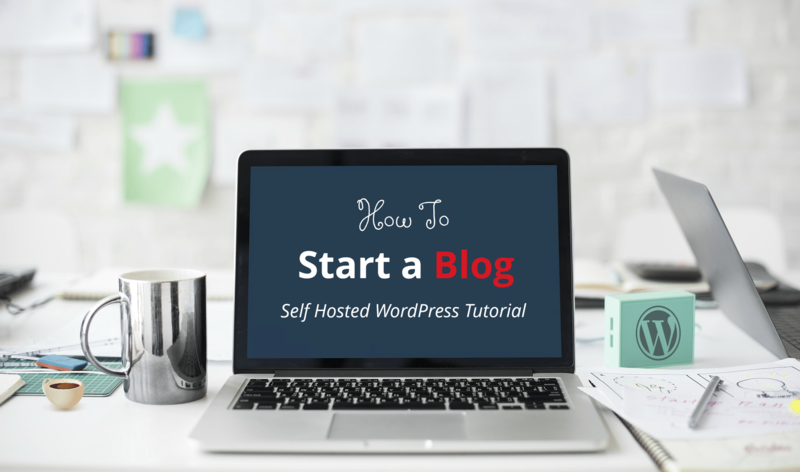 We also have a complete written guide on how to setup self hosted WordPress.org for beginners. 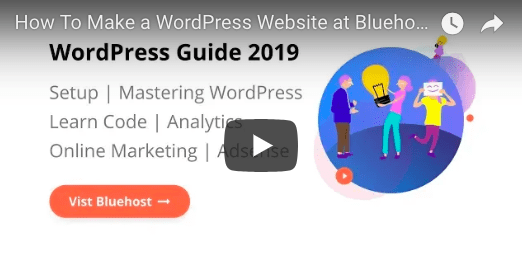 After you check out the video or the written guide (both work for people every day and only take 1-2 hours to complete) you will walk away with a brand new WordPress website. So go and get your new website setup out of the way, then we can check out the best WordPress themes for portfolio websites! 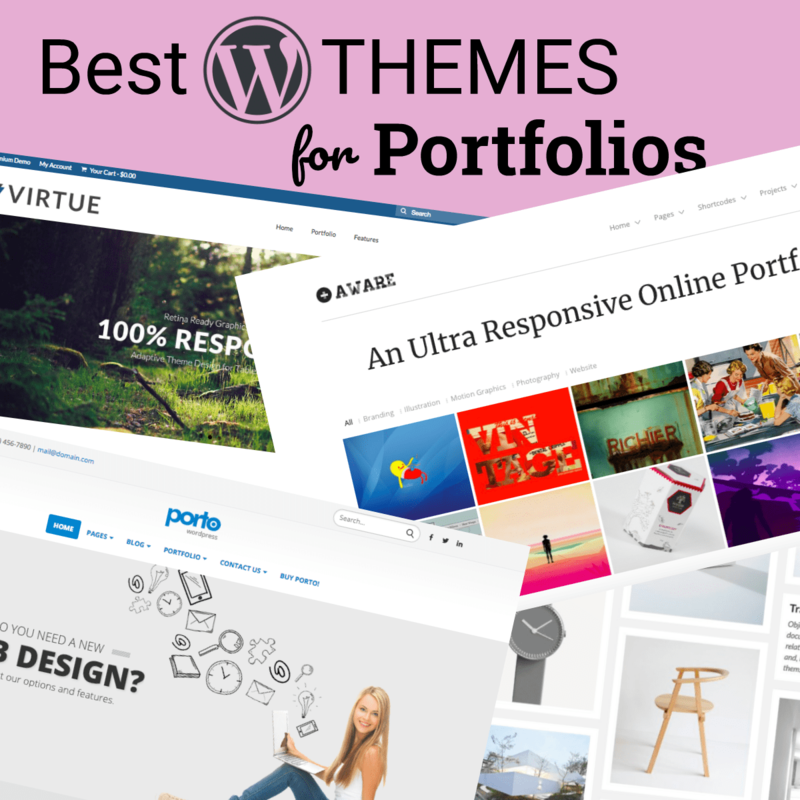 Note: Most of the WordPress portfolio themes we recommend here are sold on Envato’s Themeforest Marketplace. The benefit of getting a theme from Envato is you can affiliate market your theme with your own custom link and earn money on the side. 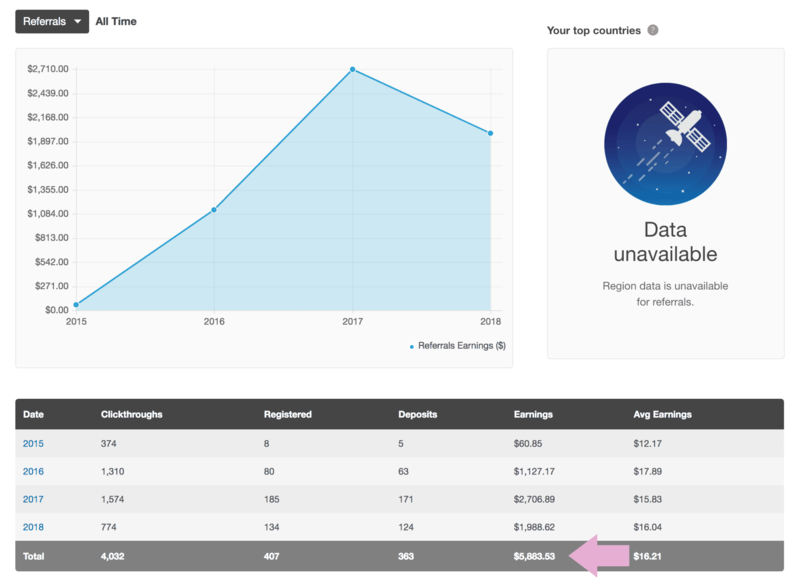 To date we have made over $5000 just by recommending themes and plugins we use from Envato, and are happy to show you how too. You really gotta love Virtue premium. The homepage is decked out with a super powerful slider, featured icons, image galleries, parallax images, and more. It’s a perfect portfolio WordPress theme for selling products too as it’s fully WooCommerce compatible. See our guide on how to create a website with Virtue premium. The folks at Kadence themes are super nice, will feature great sites you make, and the price comes in at $45.00 which is lower than most. It’s also a 100% mobile responsive theme. Because this is the first WordPress portfolio theme we ever tried it holds a special place in my heart, and it’s durability over the years earns it the #1 spot here. I’ll be honest Porto might be the most beautiful portfolio WordPress theme I’ve ever seen. If I took life the professional web designer route, this would be my pick 800%. Porto is lightweight and speed optimized meaning it works great on pretty much any budget server (like the shared hosting most of us have!) You also get a powerful theme options, tons of header and sidebar layouts, and full ecommerce functionality if needed. The demo’s are perfectly clear, they come with amazing images, the buttons are laid out nicely, and in terms of UX (User eXperience) this theme just does everything right. Grab your copy today and start uploading portfolio items with an outstanding and unique look. That goofy looking shop owner above is actually the reason Mr. Tailor snags our #3 spot – he’s inside a video hero section which sites at the top of your website. In other words you can records an iPhone or Android video of your business doing great things, then simply upload it to your homepage. Mr. Tailor is a 100% mobile friendly theme which also features homepage icons, parallax images, and uses the popular Visual Composer drag & drop page builder. You will definitely not be disappointed choosing Mr. Tailor as your portfolio theme for WordPress. Well I had to put Avada in here. 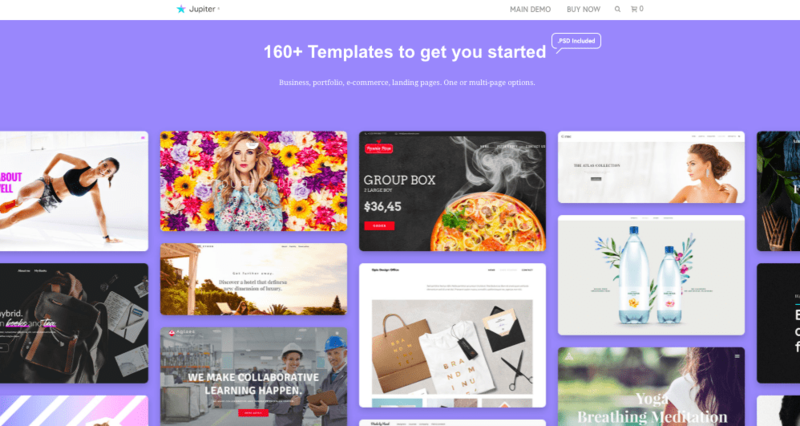 To be honest I’ve never used Avada, but it’s status as the #1 best selling multi-purpose theme with over 400K sales means somebody certainly has used it! Avada pretty much gives you every kind of creative website you could want in one theme. The theme includes 45+ premade website templates and over 275+ premade webpage designs, which when selected on your site can turn your website into things such as a photography website, business site, single pager, spa website, craft beer website, ecommerce website, fashion website, agency site, and more. It’s the WordPress theme that keeps giving, as they say. You also get the comfort of reliable, caring support and a 5 star rating from Envato. So it’s all just a pretty awesome, albeit slightly more expensive, purchase. Brooklyn is a beautiful WordPress theme for portfolios, creatives, artists and designers. You get a powerful admin are with 40+ premade websites. These premade sites are all the rave – you just select one from within the theme, activate it and you’re good to go. Brooklyn features the popular Visual Composer so you can build pages with drag & drop technology and no previous tech experience required. Over 30,000 customer around the world use Brooklyn too so you know this is one trusted WordPress theme. Cap it off with a cool name (there are a ton of portfolio website owners in Brooklyn, trust me I lived there for a year) and you’ve got yourself one of the best WordPress themes for portfolio websites on the planet. Virtue’s free version is nothing short of amazing. It contains many features the premium version comes with like several menus, featured projects, a blog, icons and more. You will get a slightly less powerful slider but won’t miss much. 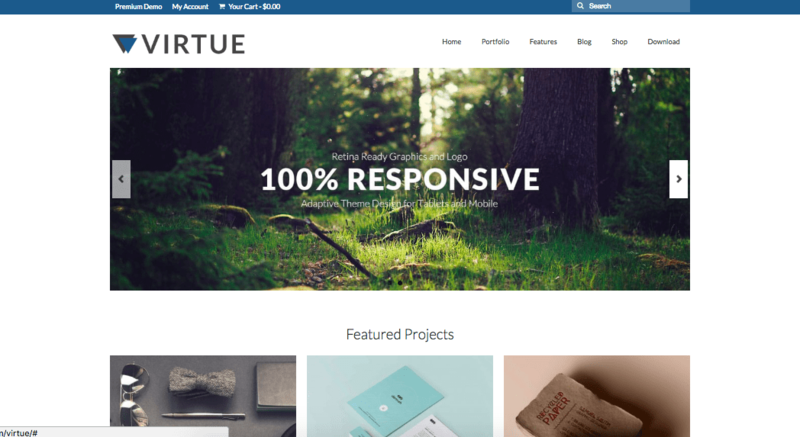 Virtue free is a great free portfolio theme for WordPress we certainly stand by. See our WordPress tutorial video to setup your portfolio website with Virtue free. Click the title above and get yourself a quick glance at the amazing demos Kalium comes with. You will see portfolio options for niches like restaurants, hotels, travel, photography, fashion, the list goes on and on. 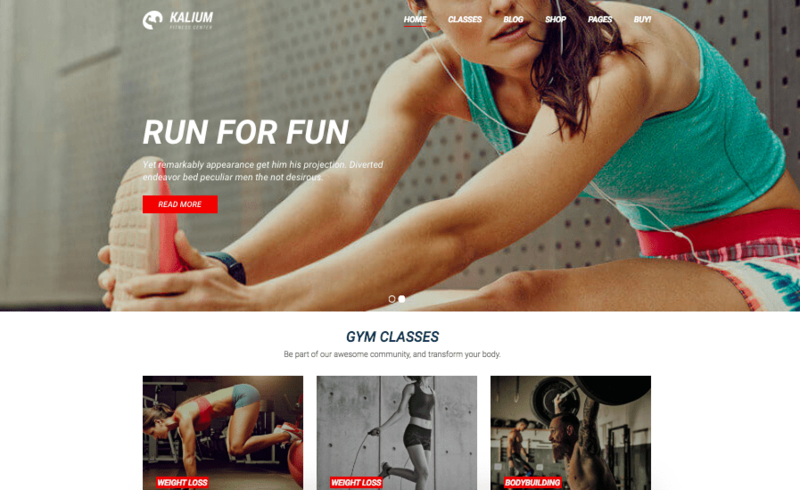 To get our header image for Kalium we simply clicked on Fitness Demo and explored it to our heart’s content, while snapping a few photos. 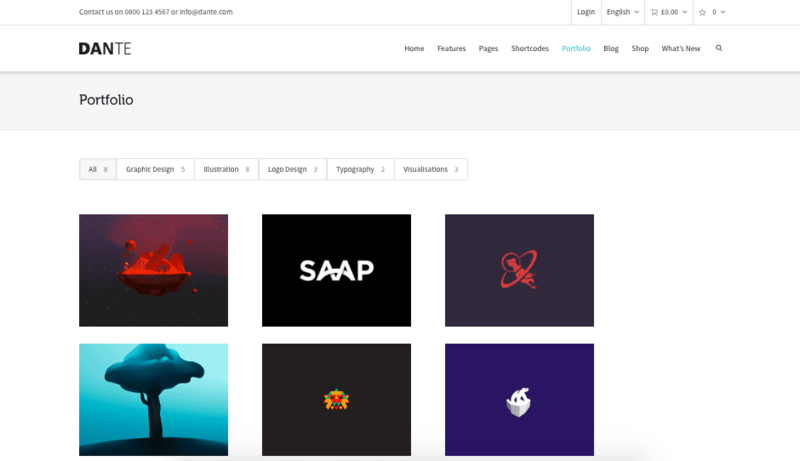 If you want to sell products from a portfolio website this theme is for you. 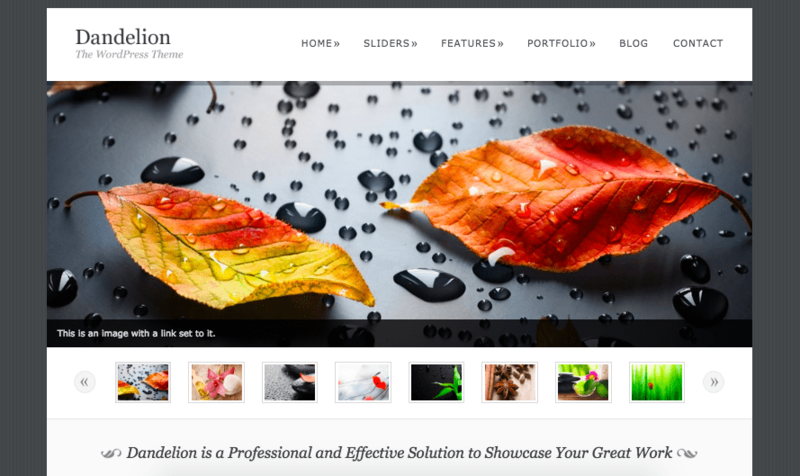 Because Kalium is such a quick fix theme to represent many of our readers, we’ve deemd in the 7th best WordPress theme for portfolio websites. OceanWP has received a ton of great press lately and it’s for good reason. This free WordPress portfolio theme comes with a ton of great free templates you can 1-click activate onto a blank WordPress website to make it amazing. OceanWP also works great with Elementor Page Builder, so you get one of the best free themes combined with one of the best drag & drop page builders. 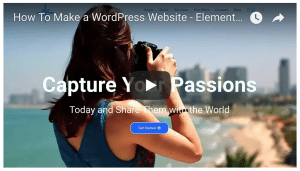 Check out our video on how to make a WordPress website with Elementor. Well you might find it surprising that we’d put a “wedding theme” as our #9 best WordPress portfolio themes. The beautiful, powerful timeline feature Wedding has earns it this spot. Click on the link above, the hit Live Preview to view the live preview demo and see the timeline feature. A timeline is great for listing cornerstone moments in your journey along with images displaying the results. You’ll also see the countdown feature, for new portfolio releases you might have, and the image slider, which is just plain badass. This 100% responsive theme is truly one for the beginners but can be replicated if you’re a web designer looking to create a portfolio website for clients. See our video to learn how to create a portfolio website start to finish. Wedding also features 20+ shortcodes meaning you can install cool features right onto the theme and an ajax menu so when people click on your menu it smooth scrolls down the page. North is a high calibur theme from a great company, Site Origin. Inspired by the Swiss Alps this portfolio theme is effortless to setup and features clean lines with smooth page transitions setup inside Page Builder. 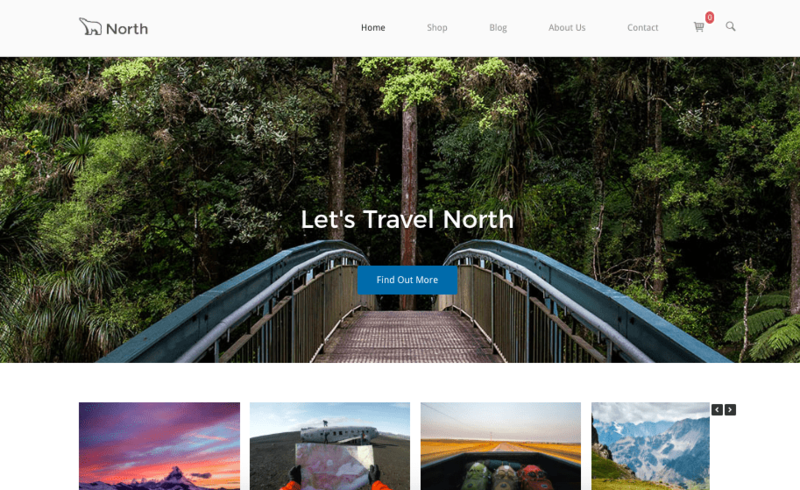 If you’re looking for a highly simplified way to showcase your photos, while also have the ecommerce shop option, then look no further than North. X Theme is a tremendous example of many different themes bundled into one. They pioneered the concept of having more demos than you could ever need, so you know you’ll get one of say 15 different portfolio looks to work out. We especially love X because of the premade website features inside the Cornerstone Page Builder. Buttons, sliders, galleries, anchor buttons and more will fill your WordPress tool belt. 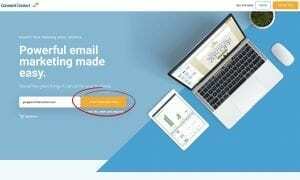 Check out our video series on How To Make a WordPress Website with X Theme. I’ve also personally been successful creating client websites with X, so I’m confident you can make money with X theme. 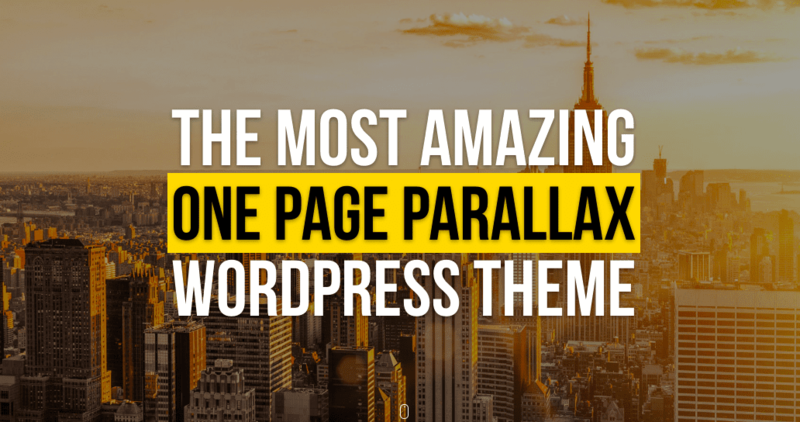 Overall one of the top 20 best WordPress themes for portfolio websites for sure. UnCode is one of those themes that just lets you be you. 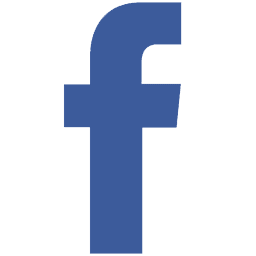 Beautiful hero image options, offset with colorful text, and social media buttons down below plus a free logo to top it off will have you on your way in no time. You will love Jupiter. It’s another one of those multi-purpose WordPress themes that just comes with so many free demos you are bound to find one you love. I’m talking 160+ templates to get you started! So as you can tell by the theme of this article, the future of premium WordPress themes is great demos. Jupiter is no exception. On top of great demos, you get gravity forms, buddypress, the ever-amazing Visual Composer, and of course premium support. You will have a great time as you build a portfolio website with this one. 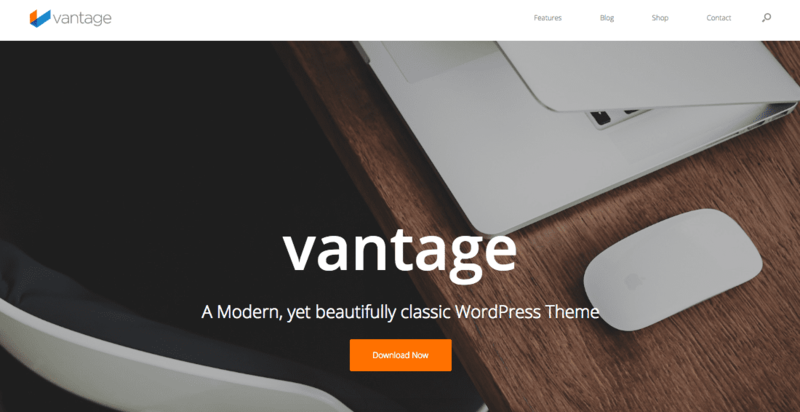 Securely positioned as our #14 best WordPress themes for portfolio websites, Vantage is one of those themes you can create almost any kind of website with. It features a free slider, plenty of icons, one of the web’s best page builders, and a really amazing user experience. But what makes Vantage great for portfolios isn’t any one of it’s features. It’s simply that you can create a website super quickly with Vantage, replace some demo content, and you’re all set. This means you can get back to actually building the content that goes into your portfolio, aka your bread and butter stuff. Catch Base is another one of those themes whose greatness speaks for itself. It comes with a perfectly laid out homepage – logo, social icons, slider, call to action button, and three column layout, where you can simply drop in your content and call it a day. Join along on YouTube as we make a beautiful website with Catch Base. What you’ll probably love most about any Catch theme are all the hidden features within Customizer. This is one free theme loaded with value to build your online portfolio. 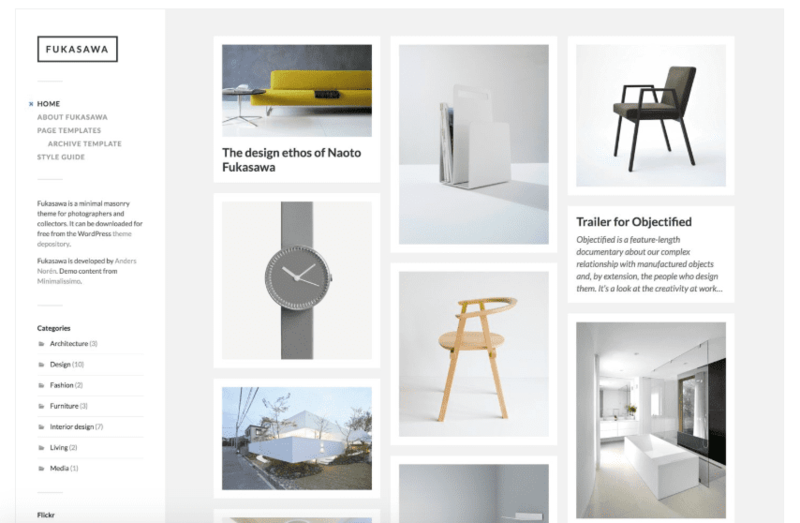 Dandelion by Pexeto (elite author on Theme Forest) is a beautiful portfolio WordPress theme at a slightly lesser price. You get 3 portfolio templates and can setup unlimited portfolio galleries and responsive sliders. What we loved most about Dandelion is the Pexeto Panel. From here you can setup Google fonts, multilevel drop down menus, logos, intergrate PSD files you may have had created, change page layouts and more. Truly a winner in the arena of portfolio wordpress themes. 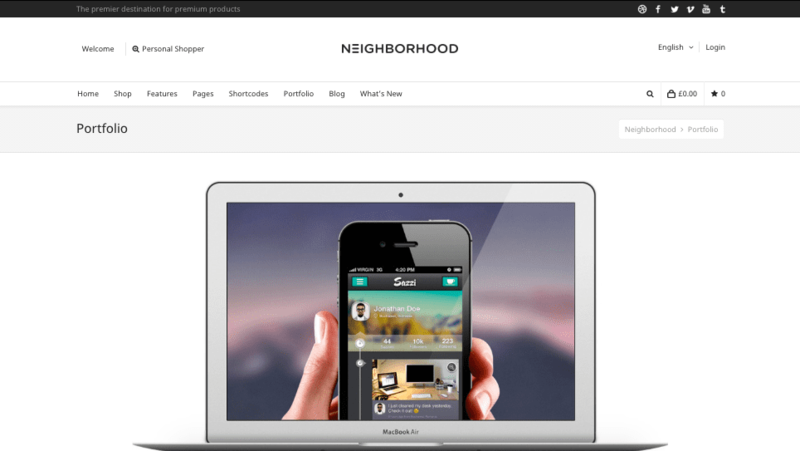 Neighborhood offers you an eCommerce centric approach to your portfolio. We recommend this theme for any portfolio owner who’s ready to take that next step and sell your creative works. Of course, being a premium portfolio theme for WordPress, Neighborhood comes with all the comforts of most themes listed here. Additional features include Wishlist, limitless color customizations and product zoom functionality. The super responsive design makes this theme ideal in a mobile first environment, for example an interview where the interviewer needs to quickly pull up your portfolio website from her or his phone. You’ll be totally covered if that’s the case! Dante markets itself as a next-level multi-purpose WordPress theme and we think it most certainly is. 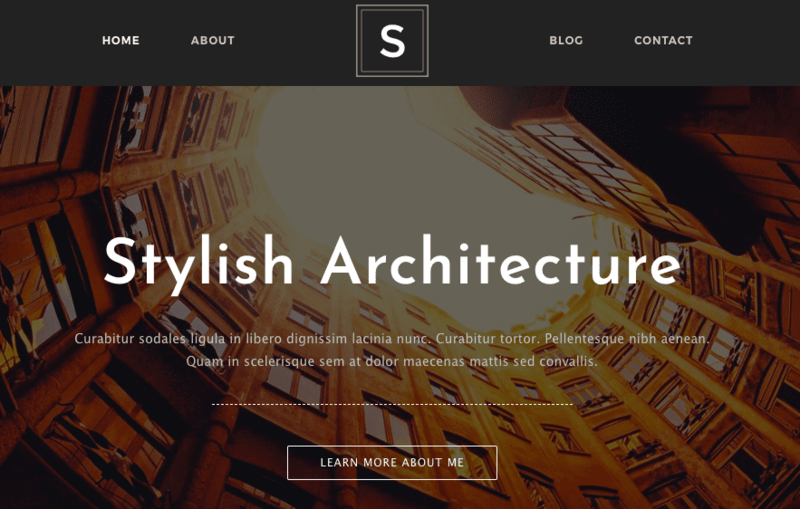 It’s one of just a few WordPress portfolio themes advanced enough to use Swift Page builder. Once you master Dante you will have full control of icons, several portfolio types (a type is like a widget you can insert in any page), several fonts and colors and so much more. Dante is also mobile responsive and retina ready, so you know it will look great no matter which browser or device your customer is using. Fukisawa is one of Swedish designer Anders Norén’s most prized creations. This theme harness a simple masonry layout to showcase images of your work in a variety of sizes. We love the Pinterest-eqsue feel this theme has, along with a sleek left sidebar which tucks nicely into the mobile first design. It’s no surprise this theme has now been downloaded over 200K times. Also if you didn’t notice, this is yet another FREE option. So if you’re on a budget, this is definitely one of the best wordpress themes for portfolio websites. Need a video guide? Check out our portfolio website tutorial featuring Fukisawa by Anders Norén. Rounding out our top 20 best WordPress theme for portfolio websites is Unheavy, a classic looking template featuring a full screen hero image, clean class to action area, and all the usual suspects you’d expect to make a homepage look classy and timeless. 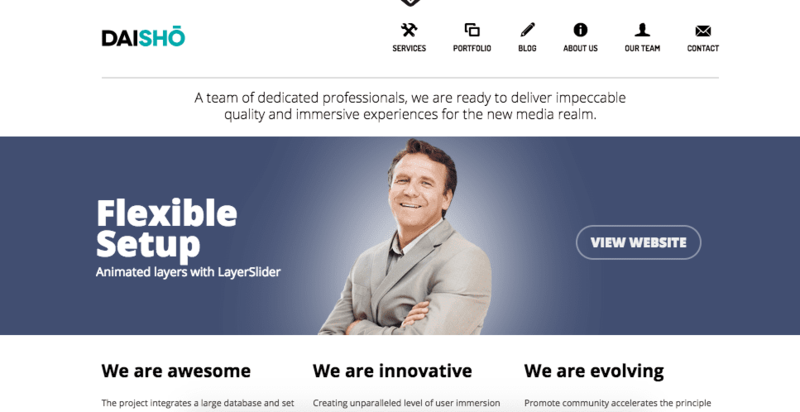 Just outside our roundup of top 20 best WordPress themes for portfolio websites is Atelier. This one is super fresh too. New features like events calendar and digital downloads give this theme a truly real feeling. You get 14 pre-made demos for a T-shirt store, furniture store, magazine, print agency and more, so if your creative juices aren’t flowing all you have to do is drop in your own content over the demo stuff and you’re off to the races. Overall an outstanding theme, and depending on how it performs in the next months may crack our top 20 for best portfolio WordPress themes of 2018. 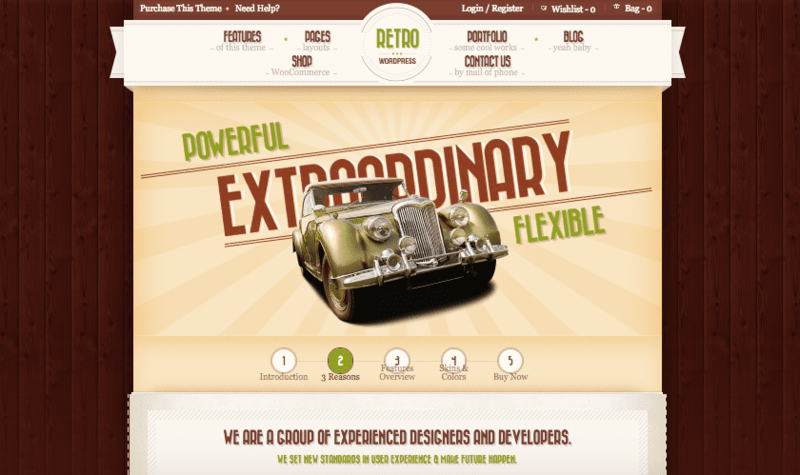 Retro is the best portfolio WordPress theme for you if you just dig those old fashioned feels. It features a woody background a saloon feel with nice soft buttons and imagery right out of the box. Retro is also 100% mobile friendly responsive and offers a great support team. A fast response and truly caring support team is a must for any them to be listed as one of the best wordpress themes for portfolio websites. This theme is sure to stand out on any portfolio website. You get the business savvy features but also get an original look that can impress future employers. Lastly, we loved the variety of fonts on retro. It’s not the most chosen theme either, so your portfolio website is guaranteed to look unique. Daisho offers you a minimalist yet highly professional solution for your creative works. What’s perhaps most surprising is how easy Daisho is to setup right out of the box. You will get a great portfolio website up in minutes. Other features that put Daisho in our top 25 include the beautiful About Us, Contact Us and Team sections along with an SEO friendly backbone and Gutenberg enhanced compatibility (Gutenberg is the latest WordPress post editor we all will have to use soon, probably). We are becoming big fans of Daisho and think you’ll love it for your new portfolio site setup. So you in the second to last position of our prestigious and pretty darn high-quality (at least we think so) list, you have Aware. Aware is one of the best WordPress themes for portfolio websites, yet most website owners still don’t know about it. To understand what we loved about Aware, just click through our link above or right on the image, then click Live Preview, and behold the 10-image grid layout with hover title technology you’ll get if you choose Aware. Most web designers in my town would charge minimum $1000 for this look, but you get it for a mere $50 if you choose Aware, plus you get the skills of DIY which will last a lifetime. So, not a bad choice at all. 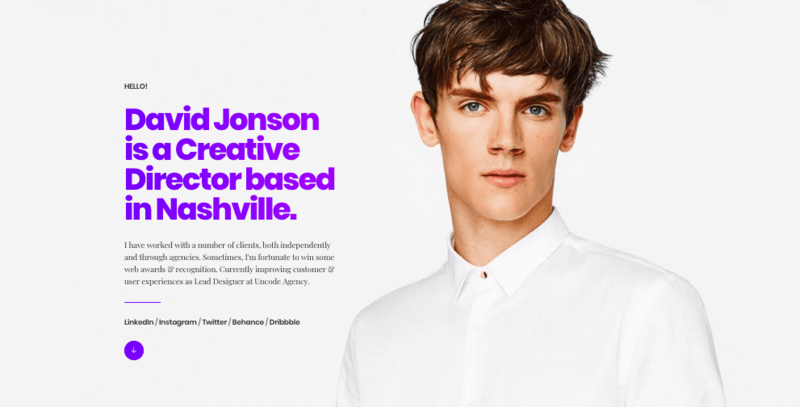 We thought we’d close out this epic list of portfolio themes with a truly stylish alternative to the above, and thus we leave you with Jarvis. 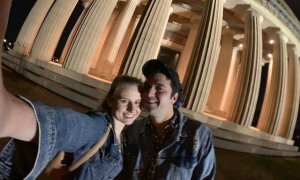 Picture this, your mantra written delicately into a circle quote, on top of a Vimeo or YouTube background of your town from a drone view. Within just moments, your visitors can not only see your favorite slogan, but can enter your world. Now you’re starting to understand the themified glory of Jarvis. Of course, like the other players above, Jarvis contains several (50+) premade layouts to choose from, along with mobile friendly layouts, sliders, unlimited skins and support, oh lordy there is support, for everything from Mailchimp integration to video backgrounds. Support meaning, if you can’t figure it out, just email them through Themeforest and they’ll hit you back within a day. Let’s Hear Your Thoughts on the Best WordPress Themes for Portfolio Websites! 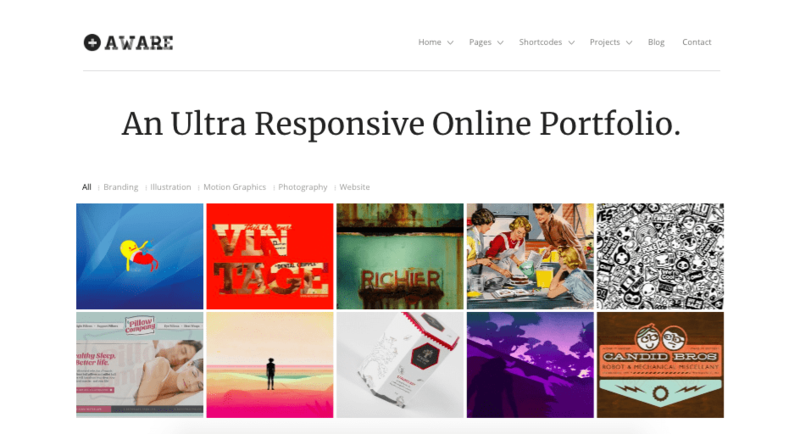 We hope you enjoyed that list of the best WordPress themes for portfolio websites. In our next epic list we’ll cover a new niche of themes. 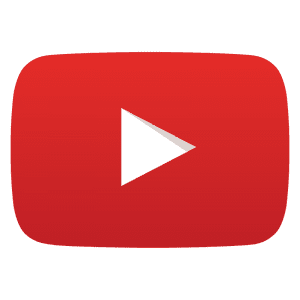 For more free WordPress help 24/7/365, feel free to subscribe to our YouTube Channel, join our Facebook Community, or ask anything on Twitter. I’d love to meet you out there! One Response to "25 Best WordPress Themes for Portfolio Websites Review (Free & Premium 2018)"